Ethan Christopher LLC is a full service real estate firm which was established in 1999. We are a leader in regional real estate investment in both medical office buildings and shopping centers. Our goal is to maximize the return of our investor's money. We create value in every property we purchase. To create value we have remained disciplined, and have focused on the acquisition of in-fill real estate. We believe that if your real estate is well located amidst a dense population, it increases your ability to create results in your property over time. Further, on most of our projects, we lease them up to stabilized occupancy, which sometimes involves major capital improvements and very aggressive marketing campaigns. We are able to enhance our results by maintaining our relationships with all of the credit tenants through regular involvement in the ICSC. Our core team has worked in the commercial real estate industry of over 60 years. We have helped finance over $2 billion of commercial properties. 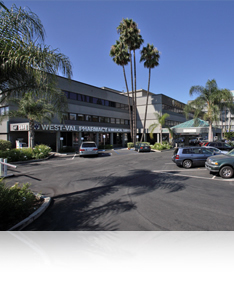 We have managed as many as 140 shopping centers and 12 medical office complexes. We have purchased over $400,000,000 of commercial real estate as principals. We are a closely held private company that prides itself on its long-term relationships with brokers, tenants, vendors and investors. We emphasize our integrity, as well as our profitable track record. We invite each of you to contact our principals to learn more about Ethan Christopher LLC.